Black Panther doesn’t look like any movie I’ve ever seen. I don’t want to downplay America’s long history of black cinema (a history that already includes a handful of black superheroes). Nor am I ignoring the fact that Black Panther is the latest installment of the Marvel Cinematic Universe — so yes, it conforms in some ways to the dictates of big-budget Hollywood storytelling. But make no mistake: This is a movie that harnesses Marvel-scale resources to tell a story that unapologetically puts black actors, characters and concerns front-and-center. It’s a remarkable achievement and one that had me grinning widely almost all the way through. The Black Panther character was created by Stan Lee and Jack Kirby, and he first appeared more than 50 years ago in Fantastic Four #52. Over the years, a variety of writers and artists (the comic was relaunched in 2016 by Ta Nehisi-Coates and Brian Stelfreeze) have built up a rich mythology around Wakanda, the country that Black Panther defends and rules as king. 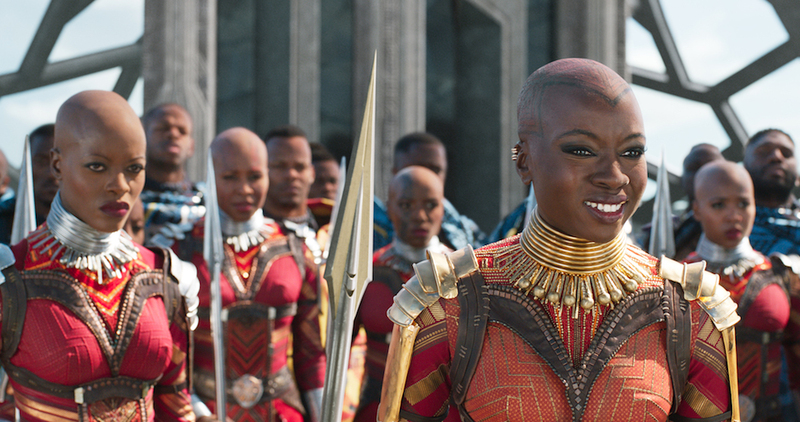 While the movie includes fun excursions to Oakland and Busan, it returns again and again to Wakanda — depicted here as an Afrofuturist landscape where science fiction gadgetry mingles seamlessly with a heavily ritualized (and vividly colorful) culture. In the Marvel universe, Wakanda’s discovery of the super-strong metal vibranium, and the country’s subsequent decision to hide its technology, means that it’s largely untouched by the horrors of real-world colonialism. This is one of the keys to Black Panther‘s fantasy: Unlike black heroes in America, Panther‘s characters aren’t forced to constantly confront a legacy of slavery and oppression. Instead, the film’s early plot and conflicts are centered almost entirely on Wakandan concerns. T’Challa (Chadwick Boseman) is ascending to the Wakandan throne after his father’s death in Captain America: Civil War, and while he grieves, he must also fend off challengers and decide what kind of king he wants to be. The larger world does eventually intrude, first in the form of Ulysses Klaue (Andy Serkis), an arms dealer previously seen in Avengers: Age of Ultron, then more notably with the appearance of Erik “Killmonger” Stevens (Michael B. Jordan), a soldier with a mysterious grudge. 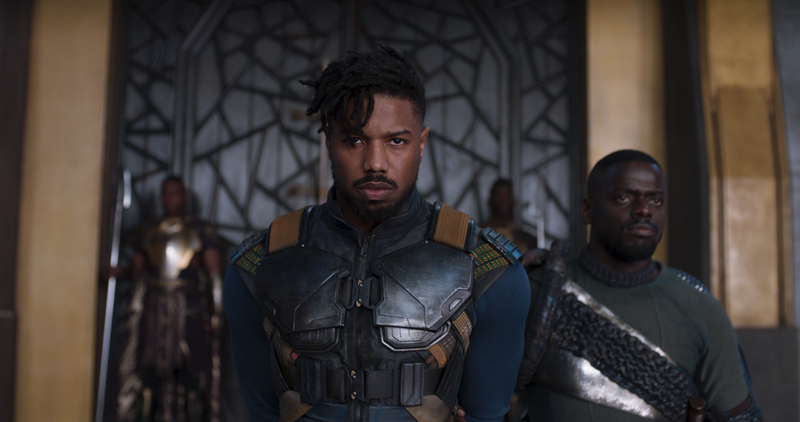 Despite his goofy name, Killmonger is the best part of the movie, forcing T’Challa and the rest of Wakanda’s ruling class to confront their past, as well as the larger weight of history. Jordan has done impressive work for director Ryan Coogler before, most recently as the title character in Creed, and he’s terrific here, switching from charm to vulnerability to incandescent rage. The rest of the cast is strong across the board. 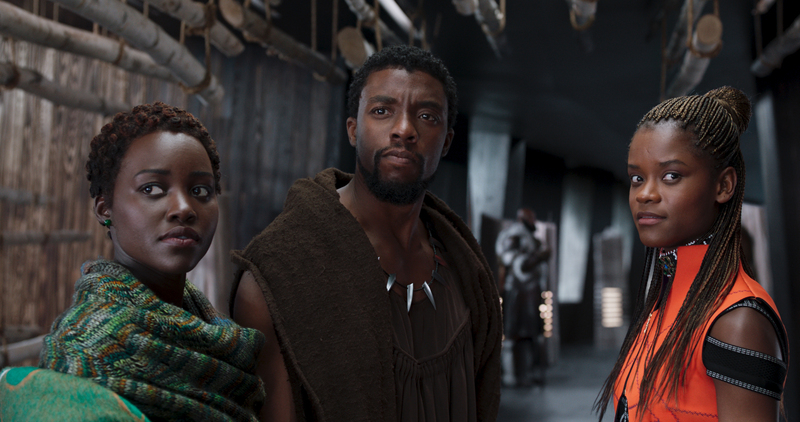 The standouts include Letitia Wright as T’Challa’s younger sister, the tech-savvy Shuri; Winston Duke as Mbaku, leader of a rival tribe; and Get Out‘s Daniel Kaluuya as W’Kabi — a character whose story may have been truncated in the script, but who seems fully formed in Kaluuya’s performance. As for the title superhero, T’Challa remains a bit of a brooding blank, as he was in Civil War. But here, the character benefits from getting more opportunities to bounce off others, whether that’s bantering with Shuri, flirting with his ex, Nakia (Lupita Nyong’o) or getting punched in the face by Killmonger. His costume has gotten a subtle upgrade, and seeing the Panther leap around the streets of Busan is undeniably cool. Non-Marvel fans may be a little worried by the fact that I keep mentioning other Marvel films — but even if you haven’t kept up (or if this is somehow your very first experience with the MCU), you should be fine. Black Panther functions like the best superhero comics, drawing on the history and context of what’s come before, while filling in backstory as needed. It totally works as a standalone adventure. And it’s worth mentioning that if you are a Marvel aficionado, you may have noticed that when their films borrow from different genres, whether that’s political thriller (Captain America: The Winter Soldier), space opera (the Guardians of the Galaxy films) or heist (Ant-Man), they usually end up in the same place, namely a finale filled with CGI explosions and punching that will decide the fate of the world and/or universe. Black Panther isn’t all that creative from a plot perspective, either — it’s basically a Game of Thrones-style dynastic struggle — but it’s still a refreshing change of pace; even when the narrative is familiar, it never feels formulaic. There’s a big action set piece at the end, but it’s not a weightless slugfest. Instead, it’s an epic fantasy battle (CGI animals included), where characters are actually injured and killed. And you’ll be glad to hear that there’s not a single apocalyptic sky beam in sight. It’s possible that just a few years from now, the excitement around movies like Wonder Woman and Black Panther will seem quaint, as films from Marvel, DC and other studios increasingly reflect the growing diversity of comics characters and creators. But even if that happens, they’ll still be worth watching as damn good superhero movies. In the meantime, it’s worth celebrating them as the breakthroughs that they are.